Pick up at your hotel after breakfast, we are driving towards the region of Tata. After some hours of drive along the beautiful mountains, will we make a stop for lunch. in this Agadir tours we continue through the beautiful landscapes. We reach Tata around dinner time. 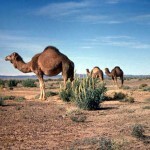 Dinner and night in hotel or desert camp. 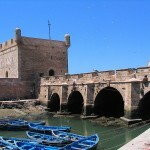 Agadir tours : After breakfast in the hotel, will we drive to the Kasbah of Ait Benhadou, a 16th century UNESCO site. The Ait Benhadou kasbah is one of the best preserved and most spectacular kasbahs in Morocco. A famous site for Hollywood films, Ait Benhaddou was used for the movie Gladiator from 2000. Hereafter will we cross the High Atlas Mountains in 2260 m height, where we also will enjoy our lunch. We reach Marrakech around 05:00 pm. Night in the hotel in Marrkech. Agadir tours : After a relaxing breakfast at the hotel in Marrakech, will we drive towards the coast city Essaouira, after few hours of drive will we arrive. We will explore the old medina, the big port and the beach. Our lunch will we enjoy in a seafood restaurant. 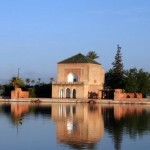 After lunch will you have some time to explore the city, before driving back to Marrakech. Night in the hotel in Marrakech. Spend the morning as you like in Marrakech, after lunch time will we drive back to Agadir, where we will arrive around 05 :00 pm. 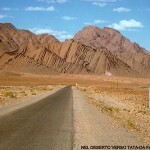 This entry was posted in tours from Agadir and tagged agadir tours, Erg Chigaga., sand dunes.